The Boston Bruins have agreed to terms on contracts with forward Chris Wagner, veteran goaltender Jaroslav Halak and winger Joakim Nordstrom. The deal for Wagner will last two years and will pay him $2.5 million over two years, giving him a $1.25 million cap hit. 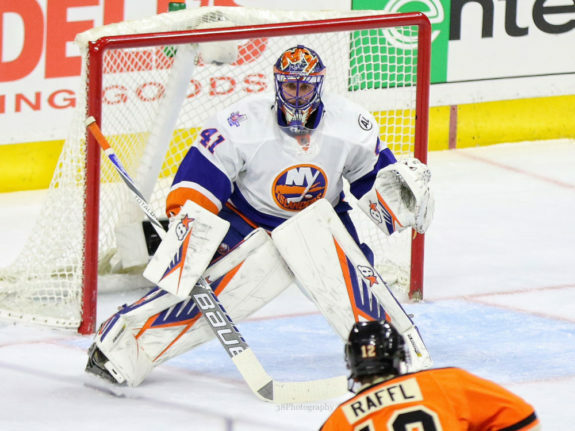 The contract for Halak will last two years and will pay him $2.75 million per season. Nordstrom’s deal will pay him $2 million over two years. Jaro Halak’s two year deal in BOS is AAV of $2.75M. In Wagner, the Bruins are getting a veteran fourth-line player who has spent time with the Anaheim Ducks, Colorado Avalanche and most recently, New York Islanders since being drafted in the fifth round in 2010. While he won’t be a major contributor on the offensive side of the puck having scored only 17 goals and 29 points in 174 games in his career, Wagner is a very good penalty killer who also happened to finish third in the NHL in hits last season with 253. The Bruins were in the market for a good penalty killer given the fact that Tim Schaller won’t be returning and Riley Nash is potentially on the way out the door as well. 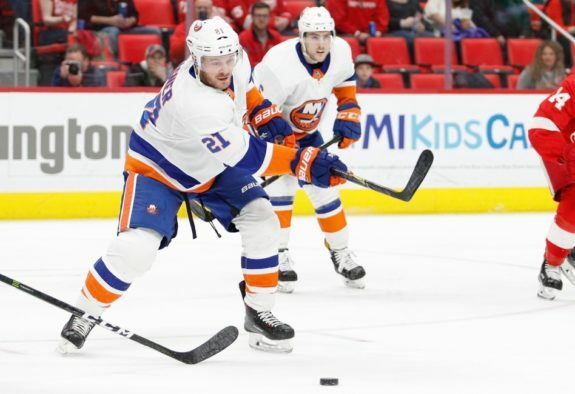 Spending his 2017-18 season as a member of the Anaheim Ducks and New York Islanders, Wagner managed to score seven goals and 16 points, both career-highs, in 79 games. He also logged a career-high 37 penalty minutes and will likely be given the first chance at replacing Schaller’s minutes on the team’s fourth line. It will be interesting to see the dynamic for the team’s energy line without Schaller, however, especially with Acciari and Kuraly both capable of playing center and at right wing – the same as Wagner. This could also mean that the Bruins aren’t yet ready to hand the ropes to one of their young players in Providence like Ryan Fitzgerald but there’s still a distinct chance that the Bruins will be using a line-by-committee approach with Wagner as valuable insurance in case of injury. The team dealt with injury more than any other last season and giving themselves some much-needed depth from the get-go isn’t a bad way to go. In Halak, the Bruins get their backup goaltender after losing Anton Khudobin to the Dallas Stars. Khudobin signed a two-year deal worth $2.5 million.. While Halak’s recent NHL success has been minimal, including a 3.19 goals against average and .908 save percentage, the important thing to remember is that he played behind a very poor defense in New York with the Islanders over the last few seasons. According to the Bruins Stats account on Twitter, Halak’s high, medium and low-danger save percentages were almost the exact same as Khudobin’s from 2017-18 but Halak played 1,000 more minutes. For comparable production behind a significantly worse defense, the Bruins are banking on Halak bouncing back in a Bruins’ uniform as Rask’s primary backup. With Khudobin spelling Rask so well last season and at the tail-end of the 2016-17 season, it’s clear that the Bruins’ franchise netminder is best when he can stay fresh during the regular season after multiple seasons of average to sub-par play due to a heightened workload that eventually caught up to him. In Nordstrom, the Bruins are getting another fourth-line player who has NHL experience and can be a nice depth addition to the team for minimal cost. Whether he’s anything more than a 13th forward or not will be interesting to see, especially with Wagner already signed earlier in the day.